We offer a 30-day money back customer satisfaction guarantee in addition to your right to return. 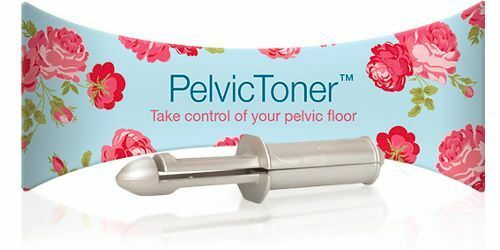 If you are not happy with your PelvicToner, just return it to us within 30 days of purchase and we will refund the price that you paid for the PelvicToner. This money back guarantee is effective whether or not the seal has been broken and / or the product has been used. It is provided in addition to your right to return, which is set out in our Terms of Sale and summarised below for your convenience. It covers the PelvicToner only and does not extend to any other items. You will need to pay the costs of returning your purchase. In addition to the satisfaction guarantee above, the Consumer Protection (Distance Selling) Regulations 2000 gives you the right to cancel an order within seven days of receipt. You must notify us IN WRITING by letter, fax or email, and you must return the goods unopened (the seal around the device must be intact), unused and at your own expense. We will then refund, within 30 days. If the product you purchase from PT Direct Ltd is faulty then you should notify us in writing immediately to arrange a replacement or refund. PT Direct Ltd will apply manufacturers' warranties where appropriate. Your legal rights are governed by the Sale of Goods Act 1979, Supply of Goods and Services Act 1982, Sale and Supply of Goods Act 1994 and The Sale and Supply of Goods to Consumers Regulations 2002. You should also read the Terms of Sale for this website. Or call us on 0117 974 3534.